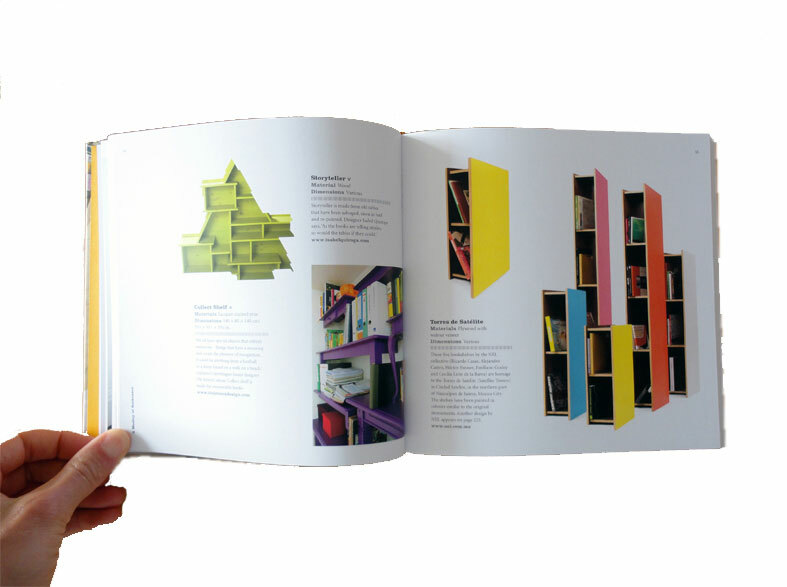 Celebrating innovation and inspiration in one of the most basic of all home designs: the bookshelf. Bookcases are so much more than just a place to store one’s books. They’ve become experiments in engineering and explorations into modern art, covetable in their own right. Financial analysts at Bloomberg have even used the IKEA Billy bookcase as an index of economic growth. In these pages you will find plenty of inspiration and diversity, from “Juxtaposed,” a shelf capitalizing on limited space to display seven books containing the world’s most influential religions, to Sakura Adachi’s “Trick,” a bookcase that constantly mutates into a table and two chairs. Shelves can even be re-imagined: the way laundry is dried in China informed Dutch designers Studio Ditte as they created their Kwan bookcase. So while we appreciate the efficient book storage of e-readers, let us marvel at physical bookshelves that are shaped like trees, or hold books upside down, or can even walk. This beautifully crafted book will bring joy to book lovers everywhere.